SYDNEY - At least 18 people were killed by a magnitude 6.7 quake that struck Papua New Guinea's mountainous Southern Highlands early Wednesday, an official said, adding to the death toll from a larger quake last week. The tremor, shortly after midnight local time, struck just 31 km (19 miles) southwest of the epicenter of a magnitude 7.5 quake that flattened villages and caused landslides last Monday, killing at least 55 people. It was the most severe of a series of aftershocks that have rattled the resource-rich region, about 600 km (370 miles) northwest of the capital Port Moresby, complicating efforts to provide aid to nearly 150,000 people in need of emergency supplies. "I have just received reports that 18 people were killed last night," William Bando, Hela Province administrator told Reuters. "It appears Hides was hardest hit. We haven't heard about potential casualties there yet, but it is a big village with many people." Local media outlets on Tuesday reported the death toll from the original quake had risen to 75, after government officials said previously that 55 people had been killed. A spokeswoman at Papua New Guinea's National Disaster Centre said on Wednesday that authorities had not yet finalized a casualty report. 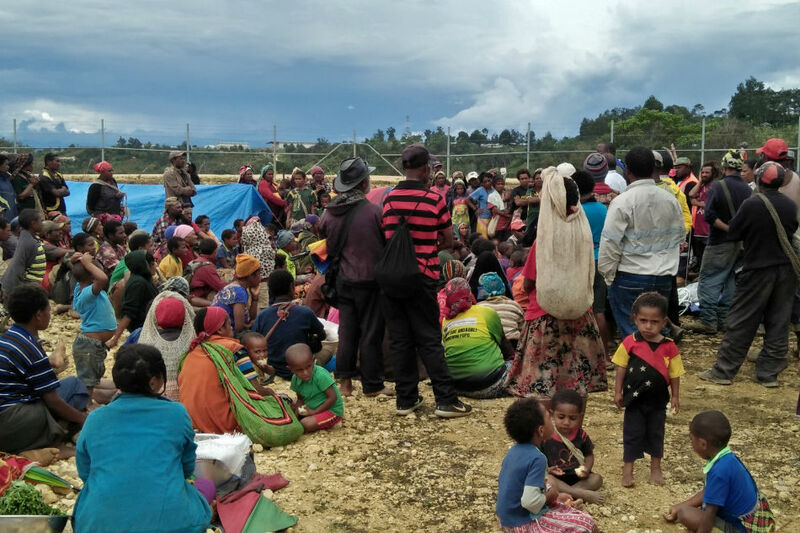 James Komengi, a United Church project officer, speaking from Tari, the capital of quake-affected Hela province, said his church's assessment and response centre had counted up to 67 deaths in that province alone. "Mothers and children are so traumatized. Even my own children are refusing to sleep in our house. Every little movement scares them," said Komengi. Concerns were also growing about access to safe drinking water after the shaking destroyed many water tanks, while land slips had poured mud into natural water sources. Aid efforts are being hampered as rescue workers struggle to reach the highlands area as many roads are either badly damaged or blocked. The International Red Cross warned the situation could deteriorate if heavy rains hit the region. "We are anxious to reach communities while there is a lull in what is usually a season of heavy rain. A big downpour could bring landslides in hillsides already destabilised by the earthquake, cause floods and contaminate water," said Udaya Regmi, Director the International Red Cross in Papua New Guinea. The Red Cross said its initial assessments indicate that as many as 143,000 people could have been affected, with an estimated 500 people injured and 17,000 people displaced from their homes. Even in more accessible areas of the country, health facilities have been damaged. ExxonMobil, which shut its $19 billion PNG liquefied natural gas (LNG) project after the first quake, said on Wednesday its facilities in Hides, where it runs a gas conditioning plant, were safely shut in. All employees and contractors were safe.